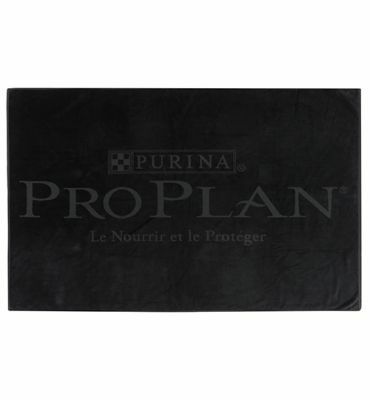 Offering a smart way to feature a logo or brand, our Jacquard border towels are extremely durable, giving long-lasting brand exposure. Perfect for simple designs, they are also ideal for hotel and spas. The main part of the towel is dyed to a single stock colour of your choice, or we can also dye to a specific Pantone colour. 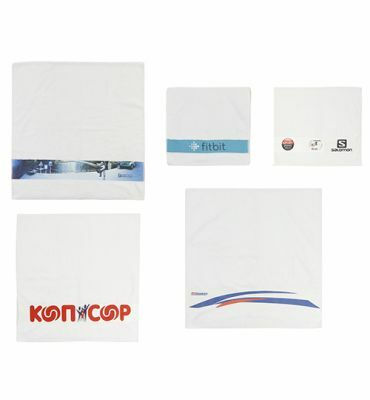 The border of the towel features the personalisation of the branding or hotel name etc and is expertly woven into one or both borders, giving various branding options. A great choice to promote branding and events at sports activities, the beach, hotel, or spa. We offer two finishes; Terry towelling, which is a soft towel and is very absorbent, or Velour, which is a luxurious ultra-soft finish allowing for greater colour and pattern definition. Pantone dyeing is available for all jacquard woven products. Our Jacquard towels are manufactured to OEKO TEX Standards. Our products have excellent wash fastness and durability. A stylish choice and ideal for big logo branded promotional products to showcase a brand or logo. 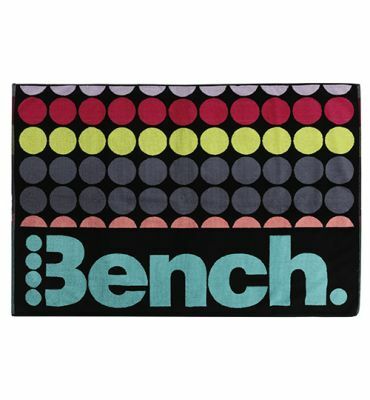 Widely used for marketing brands, this multi-coloured jacquard towel is incredibly versatile.